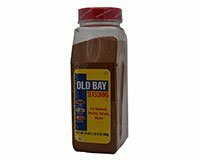 There is very little filler in this Maryland Crab Cake recipe. It's mostly lump crab meat. Mix all ingredients except the lump crabmeat. in a large bowl, gently mix crab and mayonnaise mixture. Shape into 5 or 6 crab cakes. Place shaped crab cakes on a cookie sheet covered with non-stick aluminum foil. Broil crab cakes about 10 minutes until tops begin to brown. Turn and broil other side 2 - 3 minutes. Serve Maryland Crab Cakes with tarter sauce with or without a bun.